There’re many data recovery tools in the market today including different priced and functioned data recovery software and hardware. However, We must disappoint you to say most of the tools are not actually working or meeting users’ needs. Data Recovery Hardware Or Software and Hardware Complex Tools Have A Higher Level Of Solutions To Damaged Hard Drives, Flash Drives, SSDs, etc. and therefore, if users are planning to start a data recovery business, start one in-house data recovery sector or improve their data recovery capabilities, users must select data recovery hardware or software and hardware complex tools. Users Need To Select Their Data Recovery Tools Based On The Price, Support, Functions, Upgrade and Resources. But which is the most important one? Firstly we want to say all of above factors are important to consider for users.But we kindly ask all users consider more on the functions, support, upgrade and resources. Support sometimes becomes the key factor to affect the success especially when the users are new to this field. To have one comprehensive thinking over these factors are wise and will have a bigger opportunity to achieve a success in this field. People who buy tools seeing only the low prices ignoring the support, upgrade and functions often fail in the investment and finally are forced to invest in more and more new data recovery tools. People who buy tools seeing the functions ignoring the prices, support and upgrade often fail due to the lack of enough time to understand and make enough money to continue using the tools. To select the right data recovery tools meeting users’ needs and the local market, that’s also very important to consider to minimize the investment and maximize the success. Some people may ask why upgrade and resources are important? 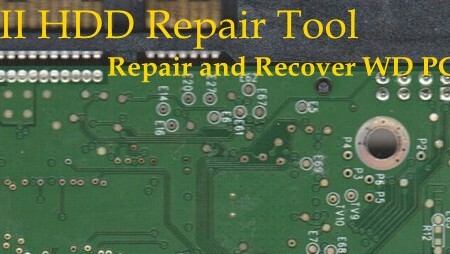 Due to the frequent changes in the new technologies used by different storage media manufacturers, to repair their failure and recover the lost data from them, new data repair and data recovery technologies are required to be researched and planted into the data recovery tools and therefore, we need to keep upgrading the data recovery tools to fix the new cases. Otherwise, the tools will be dead and useless after some time. As for resources, they can contain firmware resources such as ATA database, ROM database, SA database, detailed manuals and instructions, case studies and other technique documents and resources. These resources are especially important to new users in this field because they are new and they need these to complete the repair and recovery jobs at higher success rate and otherwise they may be limited in many cases. Dolphin Data Lab has considered all above factors for our users and we are dedicated in offering users better functioned, better priced, better upgraded and better supported data recovery tools by offering more and more new resources to our users. Dolphin Data Lab invites all companies with plan in starting or growing data recovery business to be connected with us and try our unique solutions and support.